Do you like stopping criminals? Do you also like speed? Then this mod is for you. 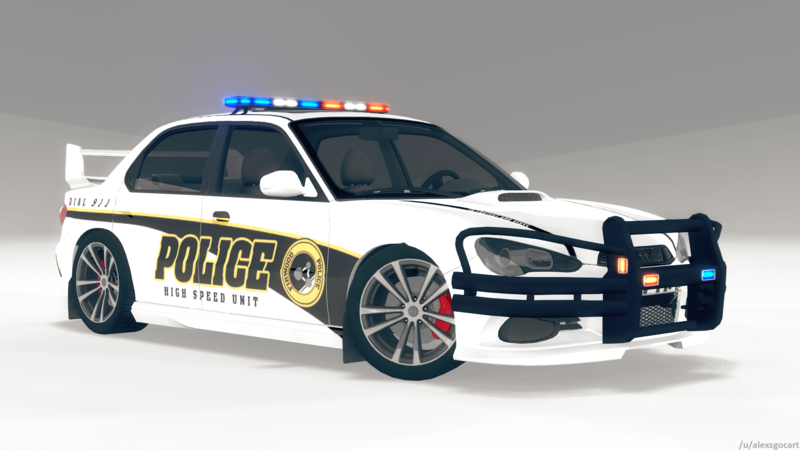 Presenting, the Sunburst Police High-Speed Unit: PIT Edition. 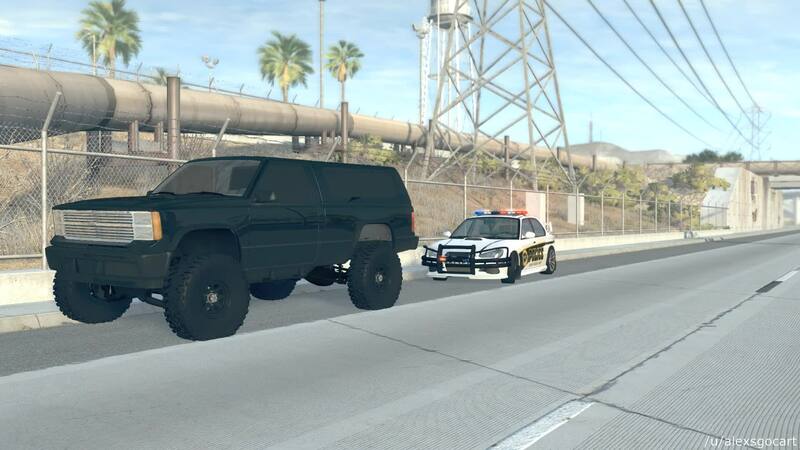 Featuring a robust design to protect the front of the vehicle while performing the Pursuit Intervention Technique. This mod comes with the heavy duty push bar, along with custom lighting and light bar flash patterns. There are three light bar patterns featured below. These modes can be switched using 'ALT+M'. 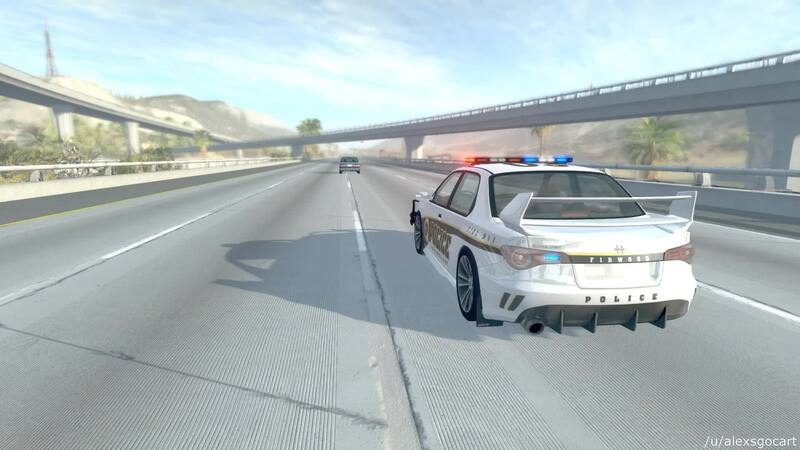 The first mode is the "Pursuit Mode". This features a fast wig-wag style light pattern to get other driver's attention while driving at high speeds. The second mode is the "Stop Mode". This halts the red strobe lights to stay on, while the blue lights stay flashing. The third mode is an "All On" mode. This mode is great for photo taking. 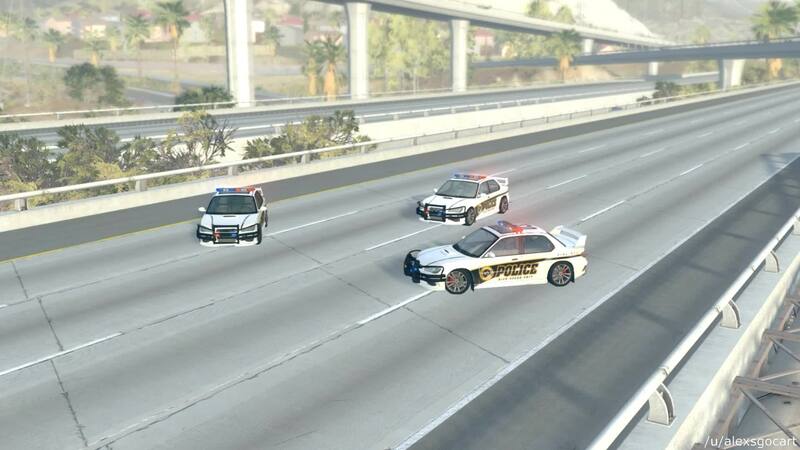 This mod includes two presets I made that works best for high-speed pursuits. DO NOT RE-UPLOAD TO ANY OTHER SITES WITHOUT MY PERMISSION! If you use this mod in your videos, please put a link to this mod in the description for credit. Please do not modify or use in any other mods without my permission. Please do not use the review section for bug reports! Use the discussion tab for those! Click Here to see the forum discussion thread. Modding for Dummies Discord. They are very helpful! I love this mod. I would like to see a Setina based Pushbar for the Gavril Grand Marshal though. But aside from that, it looks really great! We needed something like this really badly. Also, the lightning patterns are really good! Amazing mod, been wanting a push bar on the sunburst forever. This is perfect, but it is strikingly similar to the Hirochi Inquisitor mod. amazing! maybe do this for grand marshall too? This thing is very cool! I always wanted a push bar on the sunburst.